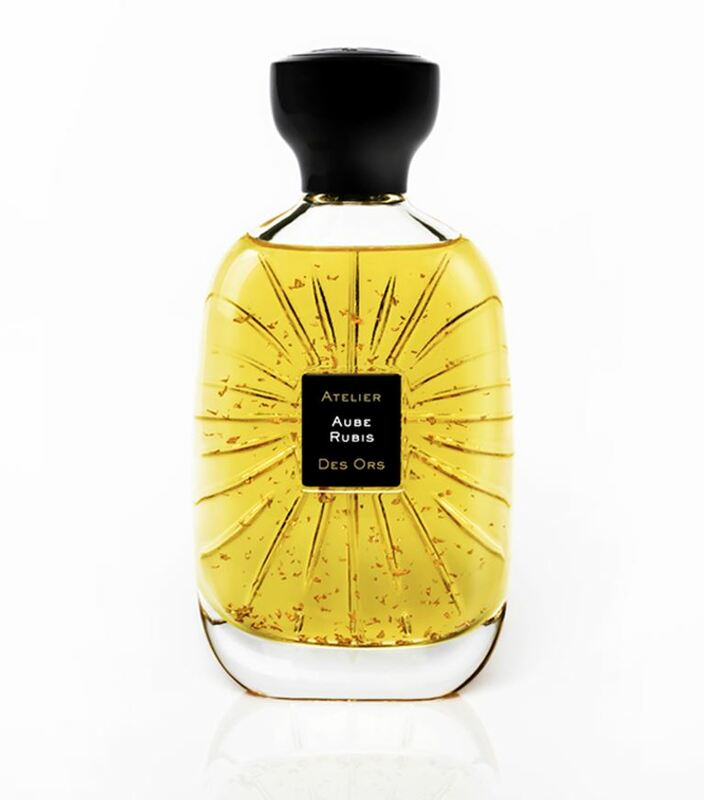 Atelier des Ors Aube Rubis is one of those perfumes that I think I know but then I wear it a few different times over a span of a few different seasons and then I realize I never really knew it. There are times that I think of it like an iris gourmand (usually in warmer weather). Sometimes I think of it as a very opulent fruitichouli (again, in warmer weather). And then I wear it on cooler days and it’s suede and woods. Or it’s a dry patchouli-iris. Anyway, I love wearing a perfume that can do more wardrobe changes than Cher. The opening of Aube Rubis reminds me of plums and suede. The more I sniff, the more I notice a boozy blackcurrant and rapberry jam. And there’s a gilded grapefruit. Yes, this is fruity but I wouldn’t compare to so many other fruity openings. This one, even from the beginning, has a noticeable earthiness and mineral quality from patchouli and a grassy vetiver. The heart is a rooty iris that somehow reminds me of carrot shavings and roasted hazelnuts¹. There’s also candied violets but their delicateness is overshadowed by the iris and an earthy patchouli. Then again, if I wear it in warmer weather, this iris/violet reminds me of a tube of lipstick in the bottom of a leather handbag. The dry-down is patchouli, a “modern” oud and suede. The first few times I wore Aube Rubis, I thought of it as a gourmand iris, the sort of thing that Lancôme Le Vie Est Belle wishes it were. Other times I get that same “gourmand iris” but almost like its a flanker of itself. I may pick up on more fruits, more of the woods or more of the leather. It’s always an iris-patchouli but it doesn’t want to be known just for that. Give Aube Rubis a try if you like iris or “grown-up” gourmands/fruitichouli or patchouli perfumes. Or perfumes like Dior Homme (vintage-ish), Mugler Angel Muse, Valentino Uomo Intense, Bottega Veneta, Guerlain Myrrhe et Delires and/or Serge Lutens Un Bois Vanille. Projection is average and longevity is above average. Victoria’s Final EauPINION – Iris gourmand. Or is it a fancy fruitichouli? Or is it gilded woods? I don’t know. What’s in a label anyway? All I know is that I like it. ¹NOTE – It’s pralines according to the note list. And I’m assuming it’s the European variety and not the pecan candies of my youth. *Disclaimer – Sample provided by the brand. I am not financially compensated for my reviews. My opinions are my own. Product pic from Harrods. Gloria Grahame pic from telegraph.co.uk. This review DEFINITELY makes me want to pick up a sample of this. Sounds amazing. And roast carrots + hazelnuts are delicious… now I want to cook them! I have been very pleased with this brand. It all smells fancy but in a way that you can easily wear. That sounds so good!!! Now I want that.